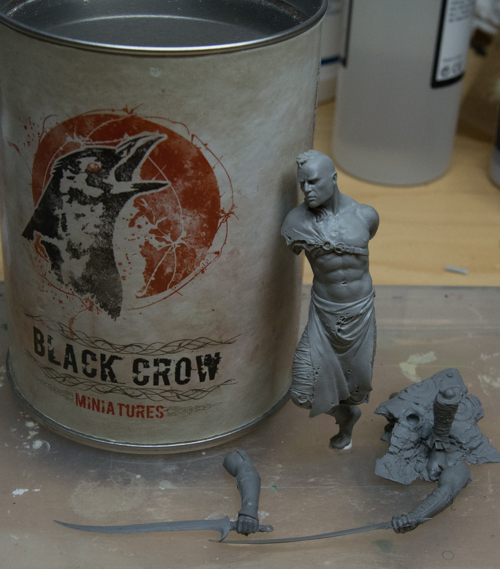 My next upcoming painting project is to paint Arinthuil the wild elf from black crow miniatures. I see him walking down towards a “beach” area so it will be sand and grass tuffs and also variation of height since it is smaller dunes that he is walking in. The sun has just started to rise and he is walking towards the light. Below are some questions that I need to think about. Direction of light how will it affect the figure and base? Light from behind will be colder and not so strong, there might be some smaller warm light reflections of the sun from the sand behind the figure. Mostly colder colors. It will also affect the contrast on the back properly will be less than it is in the front, to compensate this I need to use more colours in the shadows and light to make it interesting. Also how far up have the sun raised, this will affect the colour of light from the sun and how it affects the surroundings. What colour are the sand from the beginning and how will it look in the shadows and light part, how will it bounce eventual light from the sun? I think I will go with a lighter sand colour so that I can use the warmer red/yellow light from the sun to warm up the areas where the sunrays hit the sun. What kind of sand is it, smaller and lighter or more like gravel? Will look at reference photos and also see what kind of material that is available and make design choices from that. How to use shadows cast from the objects on the base? Since the sun is rising up the shadows from the dunes grass and figure will have to be longer and stretching of the base in some areas. 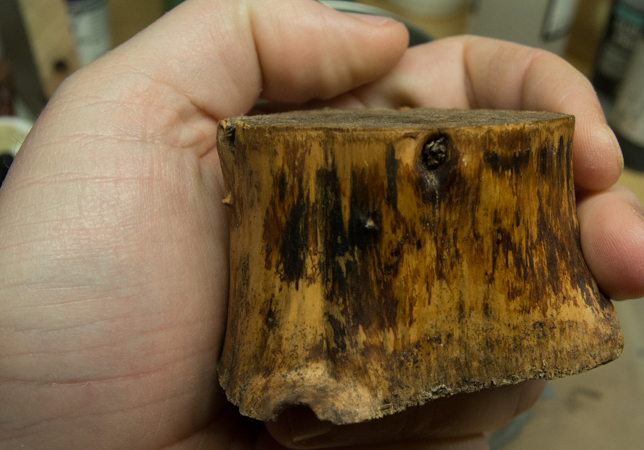 I have a base that I like and will use, the base is a piece of old wood that have a nice lighter texture to it. I have to carve in some height differences in it and also one side that is the front will have a slope where he starts to go down into the beach area. Find reference materials from pictures, from dunes, beaches and grass sort there and other things that grow. Try to make some realistic looking version of the grass to get a feel for how to make them. Fit the model into where it should be on the base. Make correspondent shadow light sketches on base so it fits together. Well this is kind of a plan, I guess it will evolve over time and change when need or inspiration hits me. It might be a bit unstructured so far but hey this is the way I work, well actually this is much more structured approached when I ever have used before, kind of fun.